HCA20 AIR OPERATED WIRE & CABLE CUTTER CUTS THROUGH COPPER & ALUMINUM! The HCA20 Wire & Cable Cutter is an air-operated cutter that quickly cuts materials from 0.01″ to 1.25″ OD, including most non-ferrous conductors such as copper and aluminum. This compact, easy-to-use unit employs a guillotine-style blade to provide clean, square cutting. The dual-activation buttons ensure operator safety during the cutting cycle. See the HCA20 in action: YouTube! 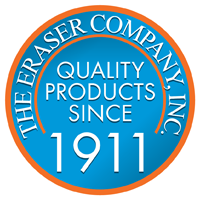 Visit Eraser to see the HCA20 operating manual and other wire & cable cutting machines.